Well, not that I’ve gotten all of that out of my system, I think it’s fitting to move on to the rest of the awards presented Sunday night. As usual, they included some good, some bad, and some just downright ugly. As far as the the show, itself, was concerned, I’d rate it about a four out of ten. Even in the face of enormous support for them, I remember stating a long time ago that selecting Hathaway and Franco as a hosting pair was just a bad idea. Finally, my convictions have been exonerated. I’m not sure what exactly was going on here, but it didn’t work. I know that Franco is not an idiot, so he was either bored, stage-frought or stoned out of his mind. Whichever path he took, he just was not there in any form of personality. 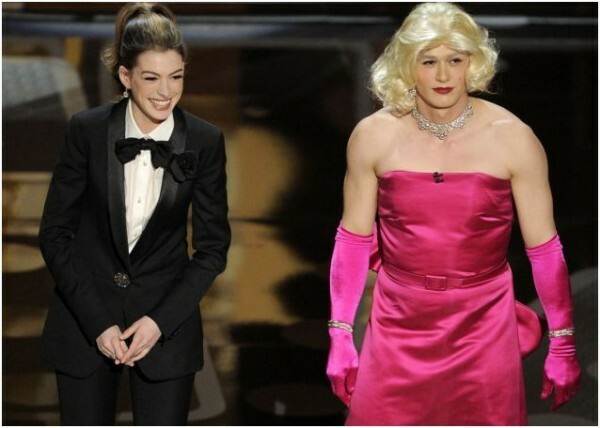 Meanwhile, Anne Hathaway went way over the top in an attempt to overcompensate for Franco’s absence. A few funny lines, but overall, it was a mess. Yes. On to the awards. I’ve already made my thoughts clear on the results of Best Picture and they are quite strong. However, if there were a race that I would have to object to, equally, if not moreso, it would have to be Best Director. The idea of Tom Hooper winning the award amongst this crop of nominees is more than absurd, it’s hilarious. Hooper’s effort in “The King’s Speech” did not merit him an Oscar and his career is substantially insufficient for such an honor. The Oscar, hands-down, should have gone to David Fincher. The man knew exactly what he wanted and got it to an extent of perfection that you don’t often see in films. It’s true that David Fincher does not need an Oscar to make it in this industry. He’s widely considered one of the finest directors working in Hollywood and will go on to make extraordinary films. However, there is the notion of awarding in the moment. It’s quite possible that Fincher may never reach the level of perfection that he achieved here. If there’s one thing that history should have taught the Academy, it’s that Martin Scorsese should never have had to wait until “The Departed” to win an Oscar. While being in the company of “Raging Bull” and “Goodfellas” isn’t necessarily a bad thing, it’s sad to imagine that no matter what Fincher eventually wins for, it will be considered a “re-ward.” The Oscars should understand a man’s masterpiece when it’s put in front of their faces. The only other moments of true disgust occurred in the design categories, which were monopolized by the showy monstrosity that was Tim Burton’s “Alice in Wonderland.” While I predicted Colleen Atwood to take home yet another Oscar for her work on the costumes, I was really kind of hoping that it wouldn’t happen. And seeing the ridiculously gaudy, and really quite ugly, production design conquer some beautiful works of art was a horrible sight. 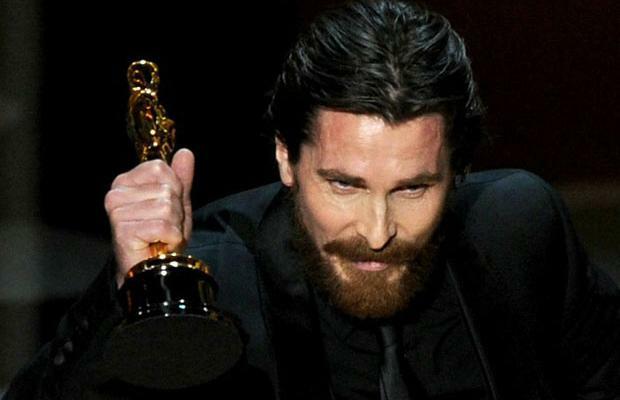 This is an award that I actually would have preferred go to “The King’s Speech,” at least over this. However, it was “Inception”‘s intricately inventive world that was snubbed. Tim Burton’s latest is a film that really shouldn’t be able to hold the title “Academy Award Winner,” especially when none of the design was even built. 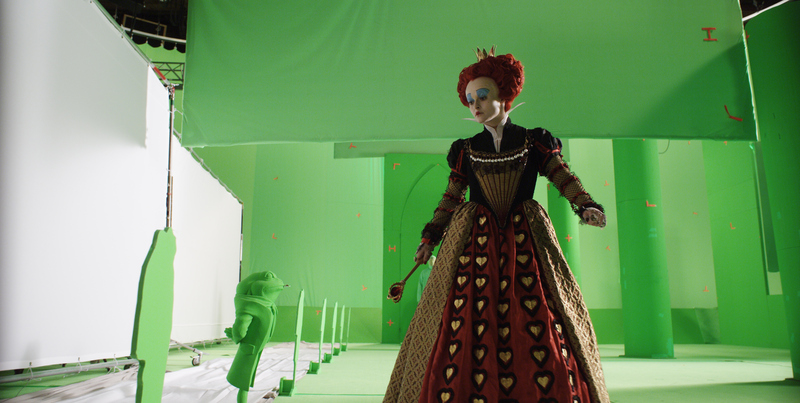 I mean it’s an entire movie filmed on a green screen. It’s hard to argue with the acting wins, even if not a single one of them has differed once, going back from the SAG, to the Golden Globes and the BFCA. The only performer who’s Oscar went hand in hand with an Edgy was Natalie Portman. A truly astonishing performance, the one aspect of “Black Swan” in which recognition is absolutely essential. Firth is definitely not my first choice for Best Actor. However, it’s the type of role that’s difficult not to respect and an actor difficult not to adore. Leo and Bale were both phenomenal and also get props for having the most out-of-control acceptance speeches of the year. I won’t lie that I have to fly in the face of popular opinion on one issue. I’m very happy that the Academy went back to showing clips for each of the acting nominees rather than just having a bunch of people on stage talking about them. While, it must be nice for the performer to hear their peers praise their work, it’s just another gratuitous way of celebrities patting each other on the back and toasting to their own successes. It’s really kind of grotesque, in a way. Besides, I always looked forward in suspense as to which clip the producers would choose to represent each actor. It’s also a way to present an example of each person’s work for those viewers who haven’t seen all of the performances and in a way that words just can’t substitute. Perhaps the most bittersweet moment of the night was seeing Wally Pfister receive the award for Best Cinematography. If I was to pick a handful of cinematographers whose work has truly left a mark on the last decade of cinema, Pfister would be at the head of the pack. He is a true master of camera movement and has a perfect eye for lighting a shot. “Inception” is a great exhibition of both these magnificent talents and I couldn’t be happier for him. Yet, one has to wonder, at this point, if the Academy will ever be willing to finally bestow Roger Deakins with his first Oscar. He is one of the most respected directors of photography in the industry, living or dead, and his record with Oscar is now zero for nine. One year, they are really going to have to stop passing him over. There was one moment of the night that will always live in my memory as a true favorite and that was Trent Reznor and Atticus Ross taking the stage. Even if the Academy isn’t ready to come out of their comfort zone in Best Picture, one really has to give them props for awarding one of the most unorthodox and creative soundtracks ever scored for a substantial film. Reznor and Ross engineered a combination of both traditional rhythms with radical themes of electronic rock tracks. Now that all is said and done, it’s hard to imagine any other type of music narrating “The Social Network.” In a field of fantastic nominees, this year, this is a score that truly stands out. Well done, Academy. One of your better decisions. Well, that’s my take on the 83rd Annual Academy Awards. While it’s hard to let go of, I believe it’s about time to move on. I believe we have at least a few days time before the race for next year’s Oscars begins, and I’ve got a lot of good stuff in store. Stay tuned. Best oscars i’ve ever watched. are you kidding me? They were GREAT hosts!